To determine the anti-obesity effects of oolong tea on diet-induced overweight or obesity. A total of 8 g of oolong tea a day for 6 weeks was ingested by 102 diet-induced overweight or obese subjects. The body fat level of the subjects was determined at the same time by taking body weight, height and waist measurements. The thickness of the subcutaneous fat layer was also determined on the abdomen 3 cm to the right of the navel by the ultrasonic echo method. 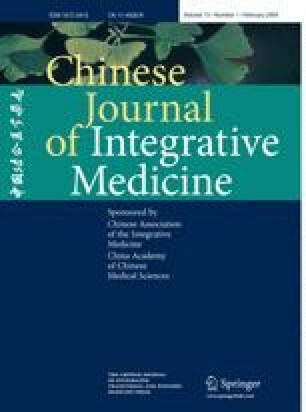 On the other hand, effects of oolong tea ingestion on plasma triglyceride (TG) and total cholesterol (TC) were determined. Inhibitions of pancreatic lipase by oolong tea extract and catechins in vitro were also determined. A total of 70% of the severely obese subjects did show a decrease of more than 1 kg in body weight, including 22% who lost more than 3 kg. Similarly, 64% of the obese subjects and 66% of the overweight subjects lost more than 1 kg during the experiment, and the subcutaneous fat content decreased in 12% of the subjects. The correlation between weight loss and subcutaneous fat decrease in men (r=0.055) was obviously lower than that in women (r=0.440, P<0.01). Body weight loss was signifificantly related to the decrease of the waist size in men (r=0.730, P<0.01) and women (r=0.480, P<0.01). Also, the correlation between subcutaneous fat reduction and decreased waist size was signifificant in women (r=0.554, P<0.01), but not in men (r=0.050, P>0.05). Moreover, the plasma levels of TG and TC of the subjects with hyperlipidemia were remarkably decreased after ingesting oolong tea for 6 weeks. In vitro assays for the inhibition of pancreatic lipase by oolong tea extract and catechins suggest that the mechanism for oolong tea to prevent hyperlipidemia may be related to the regulative action of oolong tea catechins in lipoprotein activity. Oolong tea could decrease body fat content and reduce body weight through improving lipid metabolism. Chronic consumption of oolong tea may prevent against obesity.